Don't miss the video on the photos tab of this exceptional Rosewood model in Springfield Lakes. Situated on a premium corner lot on the interior of this amenity packed neighborhood and just steps from the community pool and recreation-filled park, this single level 4 bedroom, 2 bathroom home has been highly upgraded by the builder and impeccably cared for by its original owners. The three car garage and low-maintenance landscaping draw you in off the street to a deepset porch entry. Inside you'll find a desirable greatroom floorplan with chef's kitchen and room for a full size dining table. The guest bedrooms are split from the oversized master with seating area in the bay window and ensuite bath with separate tub, shower & large walk-in closet. The guest bedrooms with ample closet... space, laundry room with additional storage, and built-in cabinets in the 3 car garage mean plenty of room for storing those pesky winter coats. Outside you'll find an extended covered patio with room for a dining set and well manicured & maintained landscaping for an easy to care for, ready to move-in experience. 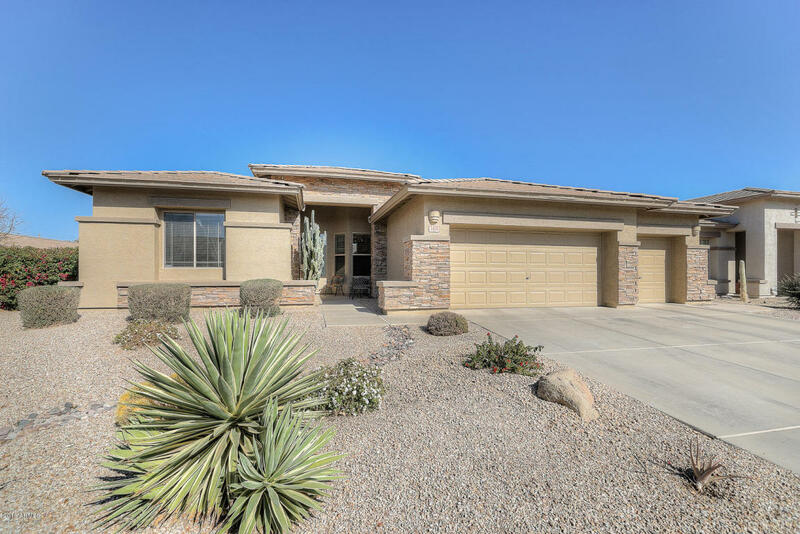 Just steps from the community amenities in this neighborhood, the neighboring Lone Tree golf club, the recreation at the San Tan Mountains and all of the employers, shops, and valley freeways you need to be next to it all - this home will have you Relaxing on Waterview in no time!